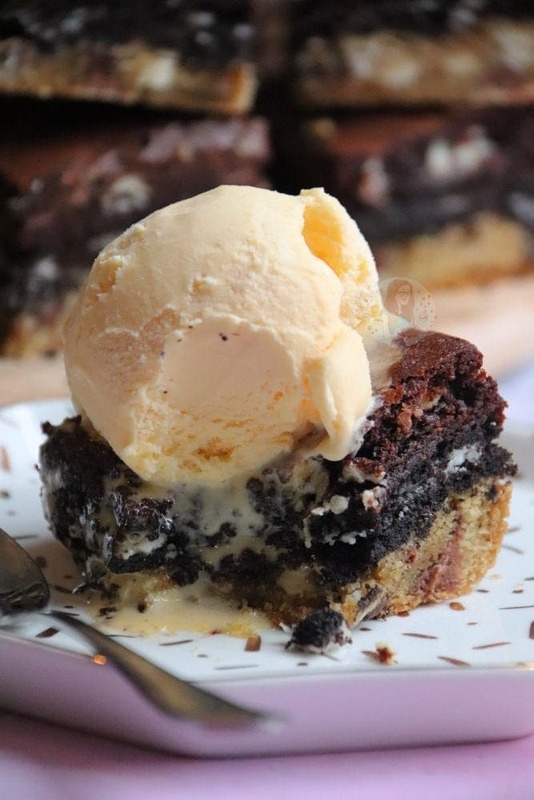 Chocolate Chip Cookie Base, Oreos, and Gooey Chocolate Brownie… All in One = Slutty Brownies! This idea came about a good while ago, and personally I first saw the idea from Rosie Londoner. 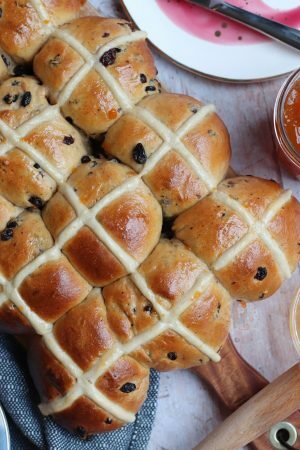 I remember making something similar once and posting it onto Instagram, and it was my most popular photo at the time reaching above 100 likes (which was like madness at the time) – but I don’t believe I ever posted the recipe. 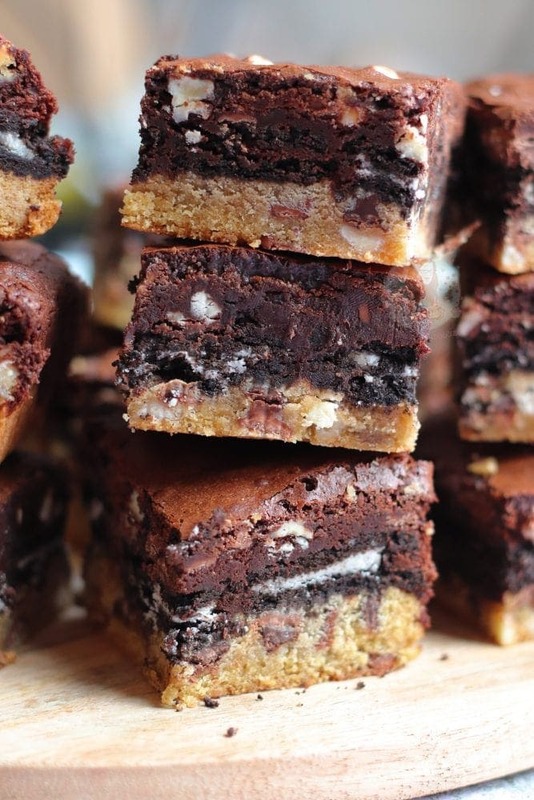 I could be wrong in saying where they came from, but Slutty Brownies have become a bit of an iconic bake. 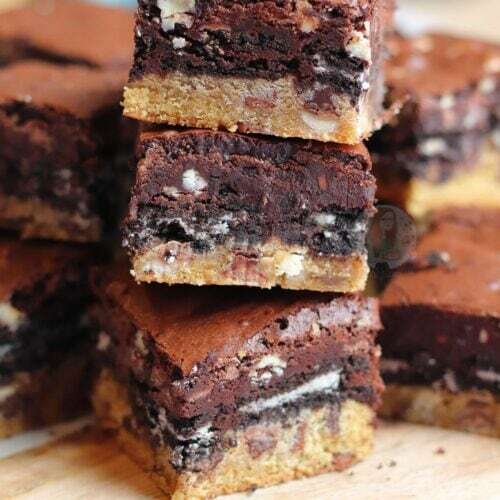 To be fair, they are actually Oreo Brookies, but the name Slutty Brownies is so well known for what the bake is now, that people just tend to stick to it! 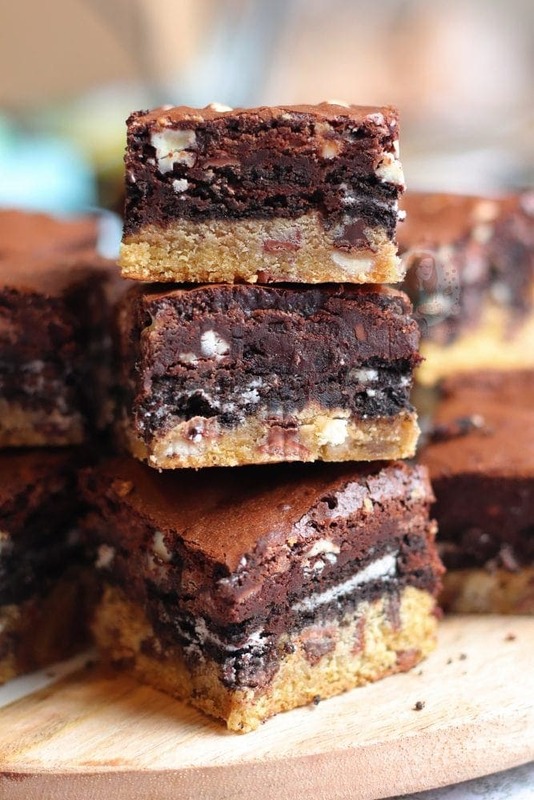 With a thick Chocolate Chip Cookie Layer, oodles of Oreos, and then Gooey Chocolate Brownies you have a bit of a winner. It’s basically everything that I love, in one. 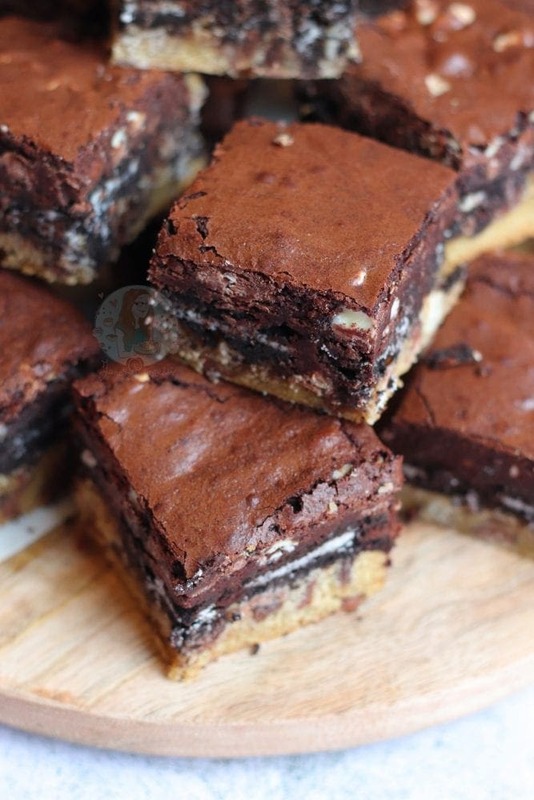 Baked together to form a gooey yet delicious layer of Cookie, and Oreos, AND then gooey brownie! Literally heaven in every bite. For me, the Cookie Layer came about from my Rolo Cookie Bars (and my others, but c’mon.. Rolos! ), as I just love it. My original Brookie post was quite different, but I have perfected these Cookie Bars so much that I’ve just completely changed it up to what it is now! Also, with a highly different method for baking with the Brownies – freezing the cookie dough for a bit first! It essentially is the same recipe as my Rolo Cookie Bars, just with a smidge less flour, and no Rolos. I felt like the Cookies could get away with being a smidge softer in these, so it’s not too much of a contrast with the Brownies themselves! You want the main biscuit part to come from the Oreos instead! For the Brownies, it’s essentially the same recipe as my Triple Chocolate Brownies, but halved. 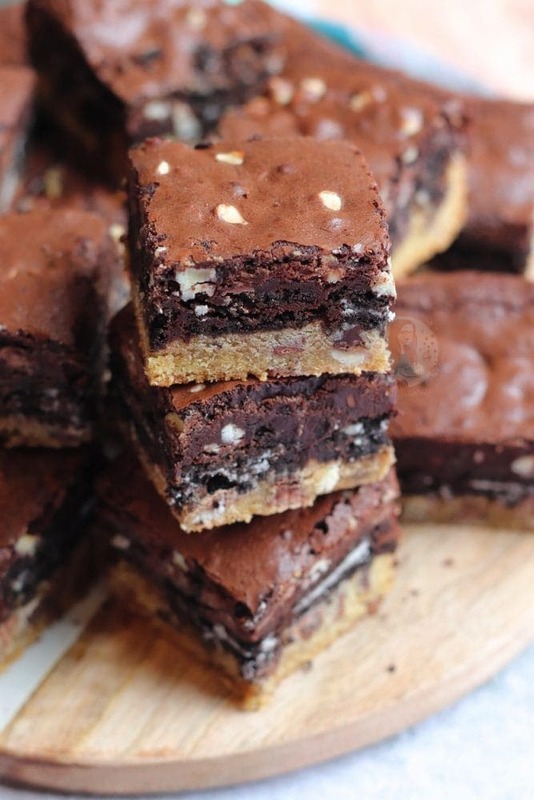 You don’t need a normal batch of brownies for these, as you already have the Cookie and Oreo layers! Luckily, the recipe is quite easy to halve. I wouldn’t recommend baking this amount of brownie on its own though, as that probably wouldn’t taste so good! 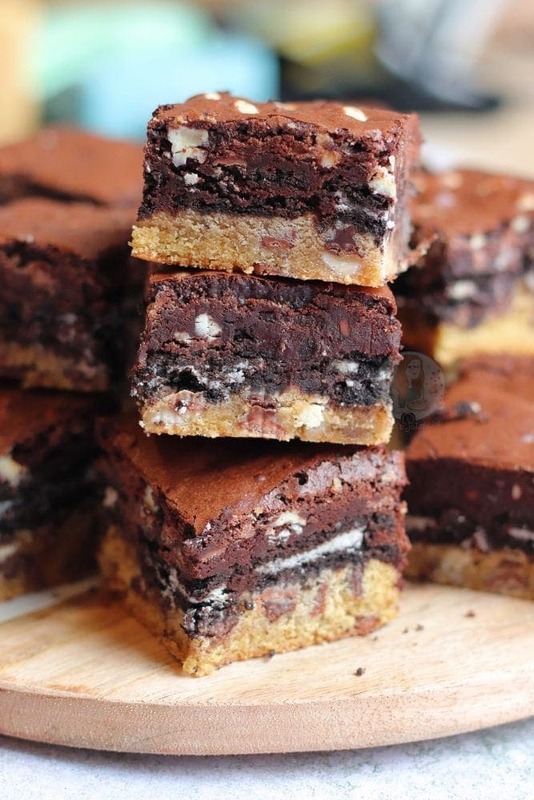 I realise that the name – Slutty Brownies – is a bit much, but it’s meant in a way because they are ‘dirty’. All your favourite bits, gooey, and smushed together. They are indulgent, delicious, and INSANE when warmed up. 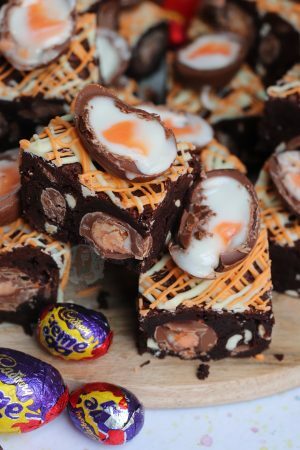 Not going to lie, on several occasions when I have made these, I don’t want for them to cool properly first before eating them as they are just incredible. 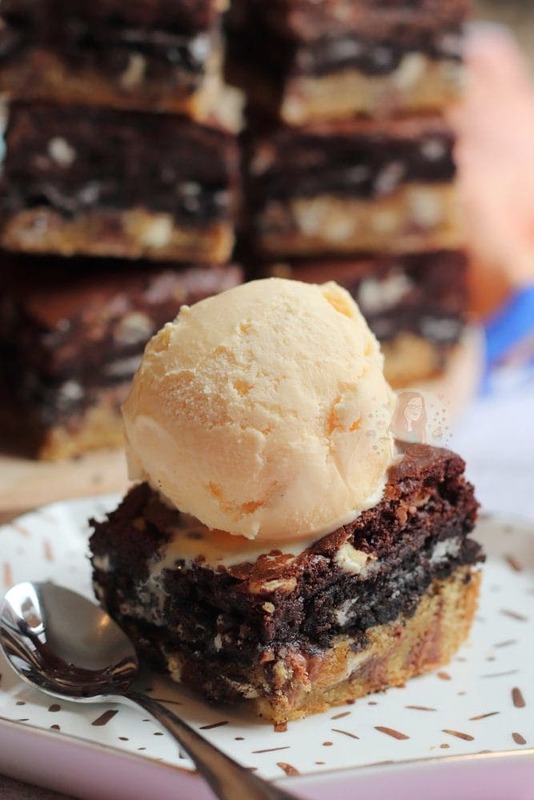 Chocolate Chip Cookie Base, Oreos, and Gooey Chocolate Brownie... All in One = Slutty Brownies! Beat together your Butter and Sugar until light and fluffy! Add in the Egg, and Vanilla, and beat again till smooth. Adding the Flour, Bicarbonate, Salt and Cornflour and beat until a cookie Dough is formed! Add in the Chocolate Chips, mix, and press into the bottom of a 9x9" Square Baking Tin, lined with parchment paper. Cover the layer of Cookie, with Oreos. I keep mine whole, and just cover them! Melt together your Dark Chocolate with your Butter until smooth. Whisk together the Eggs and Sugar into a thick mousse like mixture, and then fold through the melted chocolate mix. Add in the Flour, and Cocoa Powder, and fold through again. Mix through the Chocolate Chips carefully, and then pour over the Oreo layer! Bake the Slutty Brownies in the over for 25-30 minutes, or until baked through. Sometimes can take a smidge longer! Leave to cool in your tin for 10 minutes, and then carefully remove and finish cooling on a wire rack. Cut up into your portions and enjoy! I think it's important to freeze the cookie dough, to help the Brownies bake better. It is optional however! If you want, you can put the Cookie layer into the fridge for an hour instead of the freezer for 20 minutes! 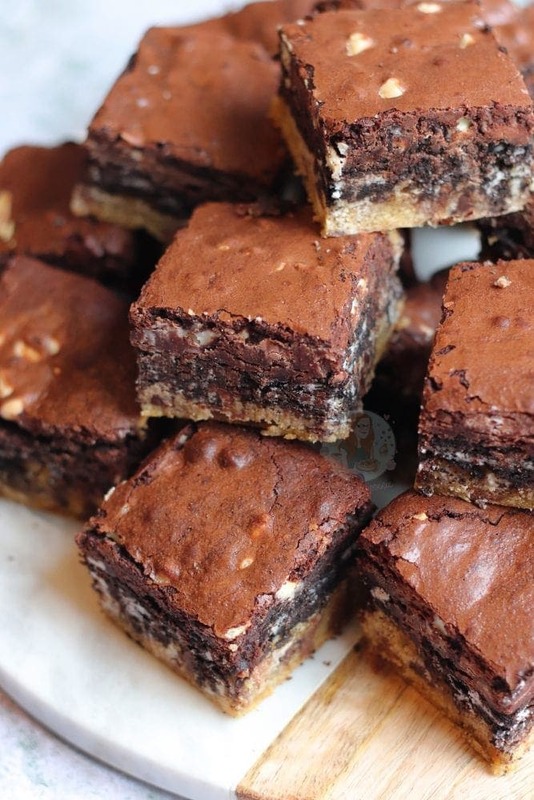 The Oreos are optional, if you just want to make Brookies then you can leave them out! The Cookie Layer is inspired by my Cookie bars, and the Brownie Layer is inspired by my Brownies! 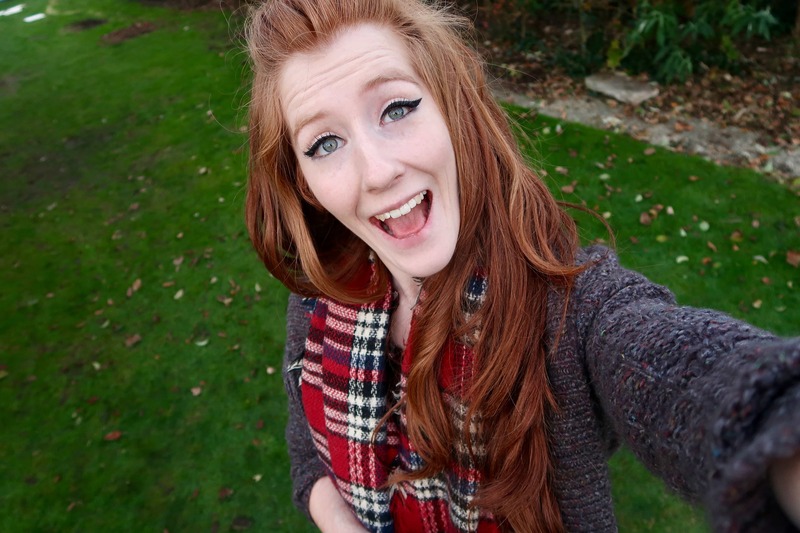 The general idea, is inspired my Rosie Londoner! These will last for 4-5 days easily, if not longer if they aren't already eaten! 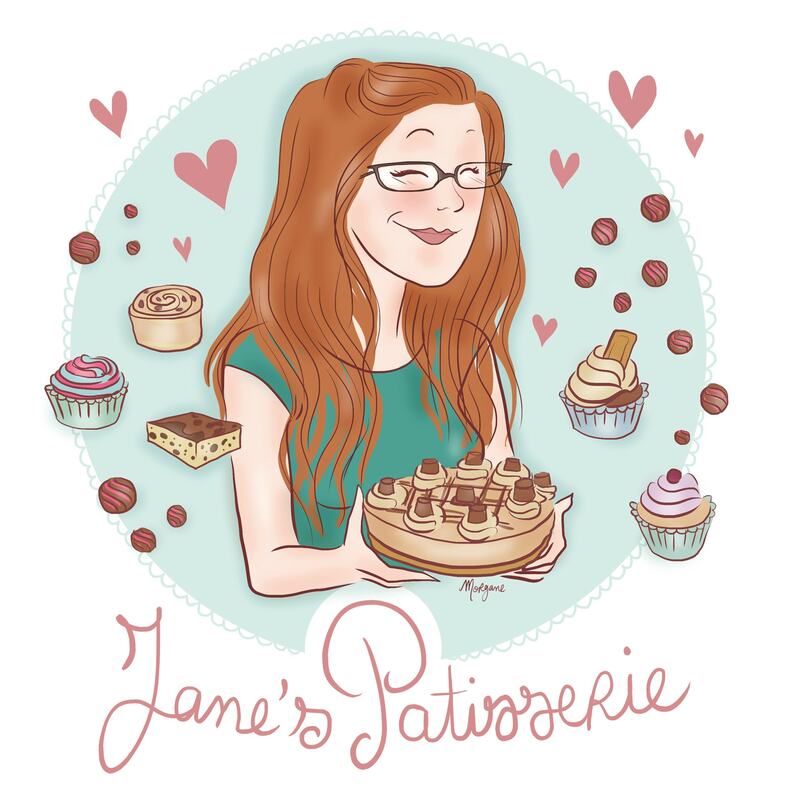 Older Next post: Vegan Biscoff Cupcakes! 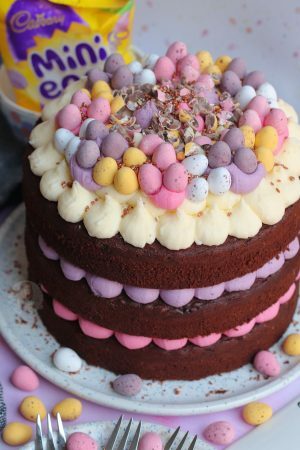 Newer Previous post: Vanilla Cake – Back To Basics! Yessss, I’ve done this and it’s epic!